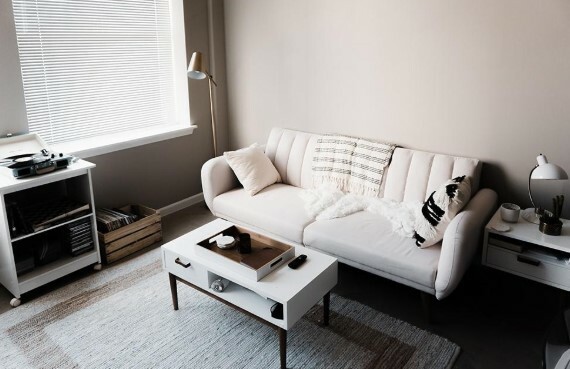 7 Mistakes When Choosing Furniture To Avoid - When you enter a new home that has no furniture, surely you will begin to feel itchy and want to quickly decorate your home with a variety of furniture that is funny and cute. But do not jump in a hurry. Hurry always makes us more careless and easier to make mistakes when choosing furniture. This time, We will share the most common mistakes that may occur when people want to buy furniture. Just like marrying your partner, you have to have a plan of what you will do in the future. It also needs to apply when you want to choose the right furniture for your home. Choose furniture that best suits your lifestyle and also durable. Because furniture is an item that you will use for a long period of time. For example, when you want to buy a sofa furniture, when you are newly married, it may be that you are thinking of buying a couch that will fit you and your partner, but what about the next few years? When you have children, will you buy another new sofa? Remember, you should also consider the type of sofa you will buy when you have a pet at home! This has been experienced by many people. When you feel too dizzy with the number of options available, almost everyone chooses to escape from the furniture catalog book. Then finally dropped their choices on furniture fixtures that look interesting. However, not all items on display in the store catalog are the same as the original condition. Decorating the contents of your home with furniture is the same as designing. The combination of style and texture of the furniture you choose contains art and stories in it. Therefore, when you use a mix of furniture from various places, you can see an exciting new combination. not having to buy a set! Buying all the furniture directly in a day in one place, of course, offers the ease and speed for you to immediately decorate the contents of your home. But, you will no longer have the freedom to find other cool furniture that you might find elsewhere. Remember, all you have to look for is furniture that suits your taste and usefulness, not furniture that is a trend at that time. Carpets are furniture that should not be underestimated. A carpet has the power to give the impression the room becomes big or small. Carpet is the furniture that became the center of the living room in your house. Carpets are also the furniture that you will first put, and other furniture will follow the location of the carpet. therefore, choosing a good carpet is very important. The danger is when the carpet you prepared has too small a size. carpets that are too small can make the room feel cramped and cramped. Choose carpet furniture with the right size. When both front legs of the sofa are on the carpet, then it means you've chosen the right size carpet furniture. But if the foot of the sofa misses a little, then it means that the carpet you choose is too small. This is one of the most common mistakes. Most people buy their furniture in inconsistent sizes so you can find a lot of furniture that is too big and too small to pair together. To avoid this from happening, you can measure the distance between each furniture and the distance between furniture to the wall. That way, you at least already have a shadow about the ideal furniture that you would like about your house. Especially if you have a small living room. Before buying furniture, you should first know how big the area in the house and access to furniture into your home, such as the width and height of the entrance of the house and door of your room. You definitely do not want when the furniture you've dreamed up to the house turned out not even fit the size of the room, or even cannot enter the house. It feels really annoying, is not it? Most people immediately rush to get rid of antique furniture at home because they feel they are too old and worn out. But do you know, old furniture that can be a special part that gives its own unique character for the house? Given the antique furniture is no longer sold everywhere, you might soon regret when it was thrown away. Not necessarily you can get it back when you've sold it. Instead, let your antique furniture in your house for several days. When it's past a few days and you still feel unsuited to its existence, then maybe it's time that furniture you move elsewhere. Those are some of the most common mistakes when people want to buy furniture. Even mistakes that sometimes seem trivial, it turns out to be big yes? From now on, do not get me wrong when buying furniture!